Ten years ago if any one had told Lincoln resident, Glenda Hinz, that the nascent industry that she has been working so hard to promote would finally receive its own day or recognition, she probably would not have believed it. Hinz is a virtual assistant, and she along with more than 5,000 other virtual professionals working worldwide will celebrate the third International Virtual Assistants Day (IVAD) on May 16, 2008. Proposed by the online advocacy group, Alliance for Virtual Businesses (A4VB), IVAD is now officially registered with Chases Calendar of Events, the recognized authority of special days, weeks and months. International VA Day will be held annually on the third Friday of May. The annual celebration of International Virtual Assistants Day coincides with a three-day assembly sponsored by the Online International Virtual Assistants Convention (OIVAC) running from May 15 – 17, 2008. Virtual Assistants worldwide will display the free International VA Day logo and creed on their websites. “This day of observance not only allows us to celebrate individual accomplishments, but also affords us the chance to pat the backs of our colleagues,” says Hinz, whose company, HINZtime Virtual Assistance, specializes in association management and general administrative support. Virtual Assistants or VAs are independent entrepreneurs who work remotely and use technology to deliver professional administrative, creative, managerial, technical, business back-office and/or personal support services to busy professionals. Clients only pay for the time actually spent working on projects and often retain a fixed amount of hours per month for service. 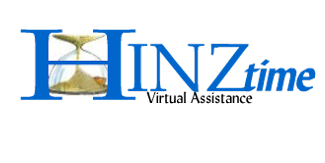 About HINZtime: Launched in 1978, HINZtime specializes in association management, transcription, and general administrative support. Visit the website at www.hinztime.com. About Alliance for Virtual Businesses: Established in June 2003 the Alliance for Virtual Businesses™ is volunteer-directed organization, whose primary mission is to promote the growth of free enterprise between virtual assistants, entrepreneurs, small businesses, corporations, associations and other business entities. At the web site client-related case studies, industry-related demographics, and a wealth of other types of information are available to facilitate learning about our industry. Visit the website at www.allianceforvirtualbiz.com. About Online International Virtual Assistants Convention: The OIVAC is an online, interactive, “live” yet virtual environment convention of Virtual Assistants, traveling Pathways to Successful VA Practices. Visit the website at www.oivac.com.